Have you found an online vendor selling B13 13-Year? Der beste Rum, außer Millonario XO, den ich bisher hatte. Sehr schön ausgewogen, langer Nachhall. Kommt von Barbados, ist 13 Jahre alt, in Bourbon Casks gealtert und finished in Cognac Barrels. Die Flasche hat leider nur 0,5 Liter und ist nicht billig (ca. 60€). Aber das ist der Rum wert. 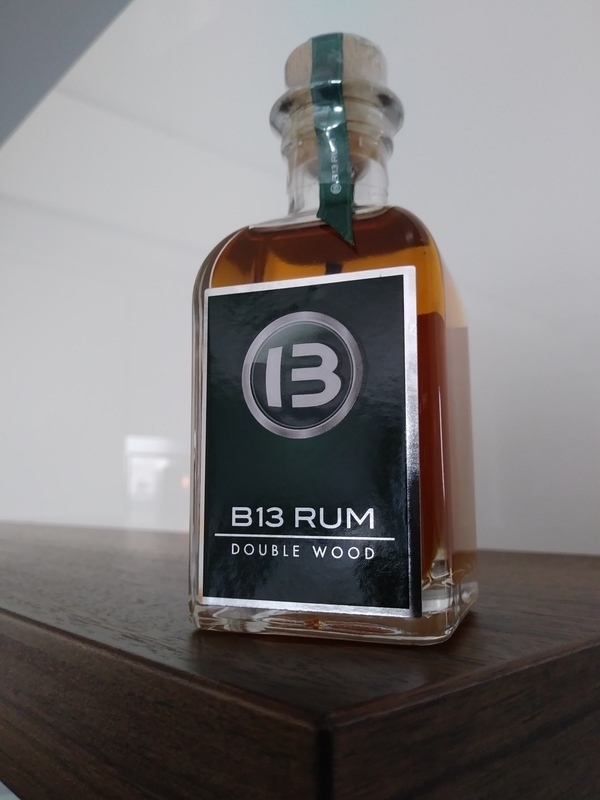 While thinking about the good tradition of barbados made rums, B13 takes a well deserved podium place, it has a wonderful original rum taste, this rum Simply envelopes the mouth with a plentitude of rich aromas and always lets u wanting more. One of the best rums i drank deapite de average price. Extraordinar de bun pentru prețul ăsta. După gustul meu, bate Zacapa XO. Adevăratul ROM! Ăsta este romul autentic. Woau! Doar on the rocks! Vona menej vyrazna, lahka, citit trochu cukrovost a drevo. Povedal by som, ze chut odpoveda voni, rum je lahsi a pomerne suchy, citit v chuti drevitost. Ziadna chut nejako vyrazne nevystupuje, vsetko je vyvazene, ale trochu nudne. Prirovnal by som ho ku Pasador de Oro XO, ten je ale trocha sladsi a ovela lacnejsi. Nie zly rum, ale za tu cenu ani ziaden zazrak. Schönes honiggelbes Bernstein im Glas. In der Nase wunderbar mehrschichtig, Karamell-Sahne Bonbons und kandierte Früchte stehen für die süsse Seite, Harz und Holz für die Herbe. Schokolade bringt zart-bittere mit, Leder und Tabak das erdige. Im Gaumen einfach nur wow ! So weich, mild und elegant wie selten ein Rum. Das volle Mundgefühl erwärmt die Zunge und die Geschmacksknospen bekommen die volle Dröhnung aller Aromen. Karamell, Schokolade, kandierte Früchte, Holz und Blumen um nur Einige zu nennen. Im Abgang wie Schokoladenpudding mit frischen tropischen Früchten und Karamell, herrlich lang und anhaltend. 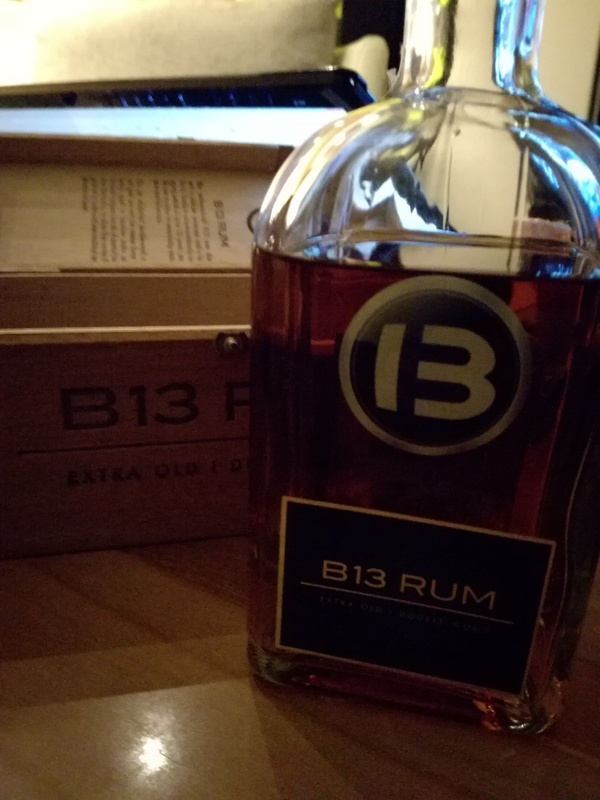 Ein sehr, sehr leckerer aber auch süsser Rum der sich zum nichts tun eignet und am besten mit einem B13 Cigarillo genossen wird. Ich bin dann mal Draussen. Beautiful honey-yellow amber in the glass. In the nose wonderfully multi-layered, caramel cream sweets and candied fruits stand for the sweet side, resin and wood for the tart. Chocolate brings delicate bitter, leather and tobacco the earthy. In the palate simply only wow ! As soft, mild and elegant as rarely a rum. The full mouthfeel warms the tongue and the taste buds get the full roar of all aromas. Caramel, chocolate, candied fruit, wood and flowers to name but a few. In the finish like chocolate pudding with fresh tropical fruits and caramel, wonderfully long and persistent. 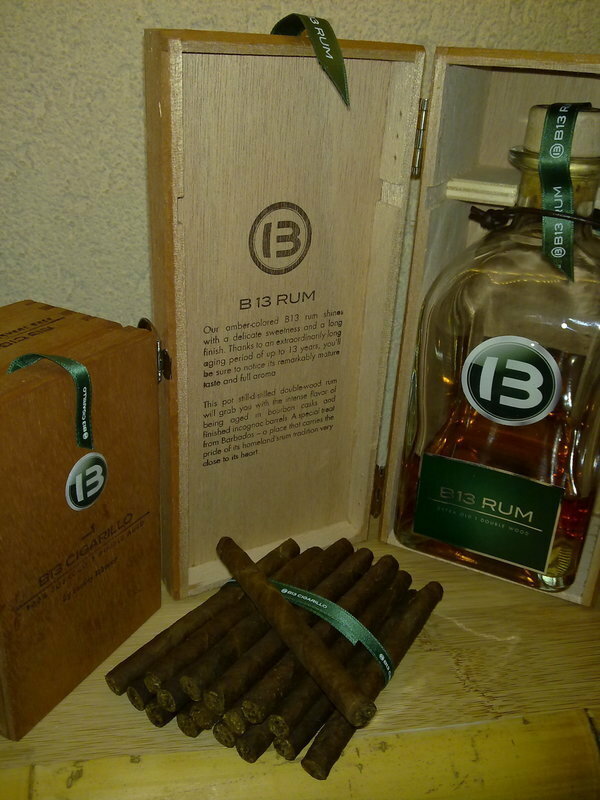 A very, very tasty but also sweet rum which is suitable for doing nothing and is best enjoyed with a B13 Cigarillo. I'll be outside then. Enjoyed a bottle of Bentley B13 with my buddies while vacationing in Germany. Very nice sturdy bottle, but quite basic green label design. Nice little wooden box enclosure. Dark brown color. Bottle states a 13y aging. Smooth flavor to the nose and palate. The taste goes in and out super quickly. That's the only downfall. Light, mildly sweet rum, personally I prefer heavier rums but this is not bad either. Extraordinary fine Barbados rum. Had it vs Zacapa 23 and beat it. You should try it! It's all that you like about rum ...in a way that you've never experienced ...only desired . Sadly it's availability is as rare as it's quality . Pick it up every time you're in Germany .